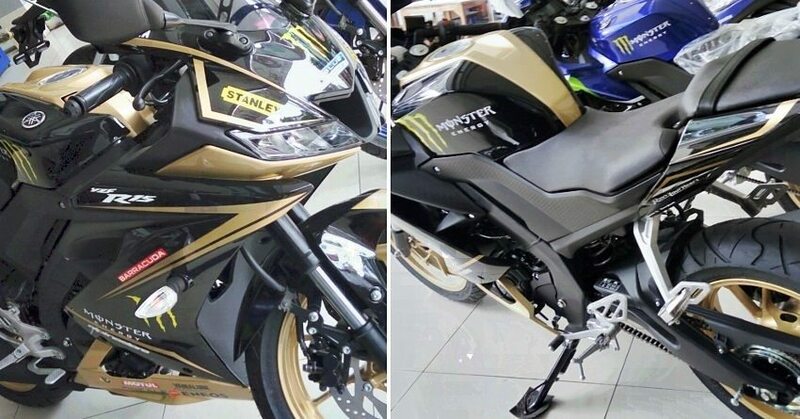 Yamaha R15 V3 Monster Energy Edition is a dealer level modification and the motorcycle comes in Black and Gold livery with strategically planted Gold panels over the Crystal Black shade. 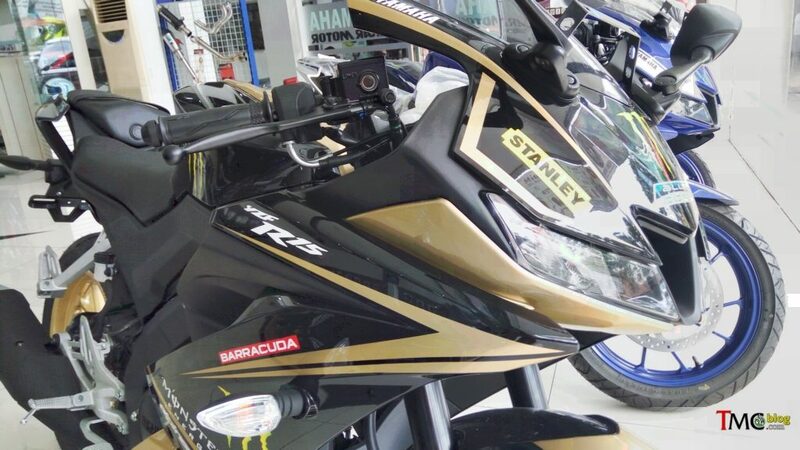 The dealer level mod commands a price tag of INR 14,500 (converted from IDR 3 million) but gives a clear idea of how excellently the motorcycle handles a design theme on its aerodynamic body. 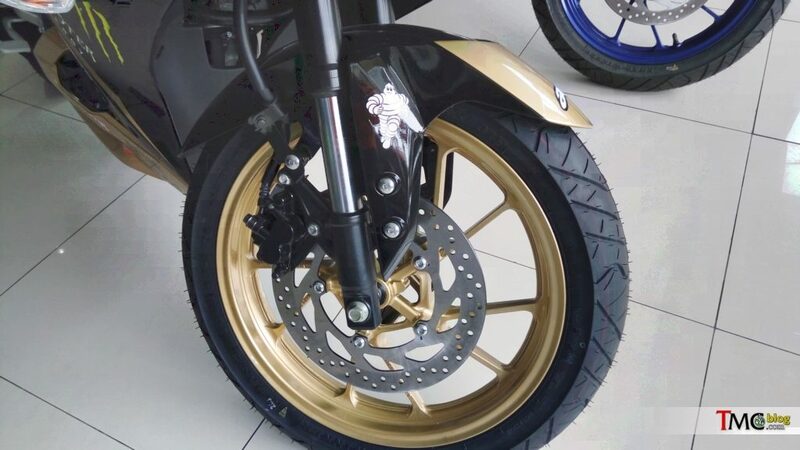 To keep the rhythm alive, they have used Gold painted alloy wheels on the motorcycle. 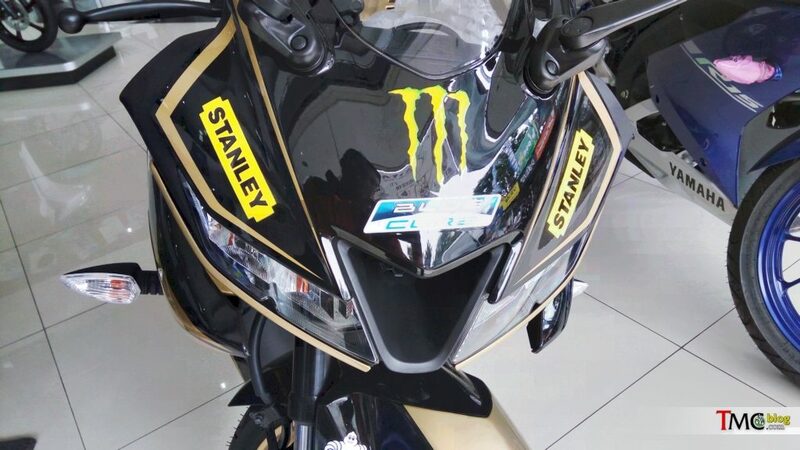 Fans can find Monster Energy and Michelin monikers on body panels. 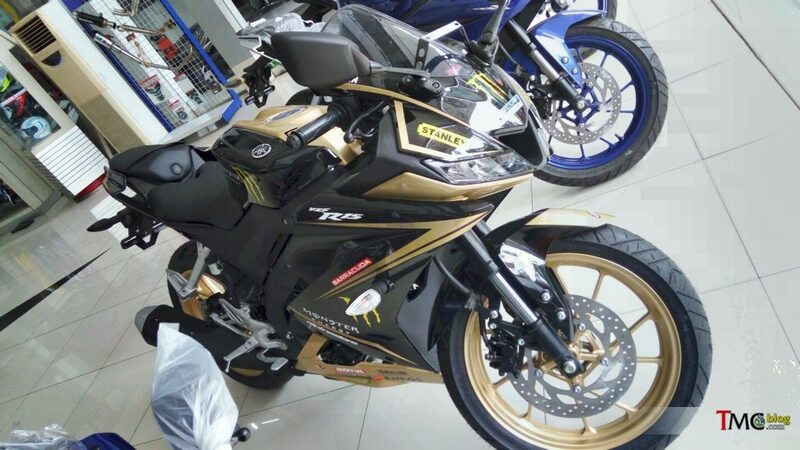 CarGloss Paint Works from Indonesia has used water brush technique for this excellent job. 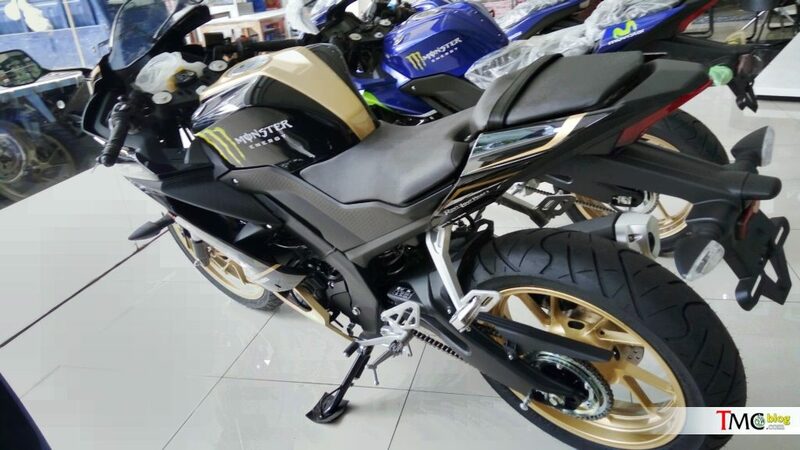 Apart from painting the motorcycle, everything has been kept according to the stock configuration. 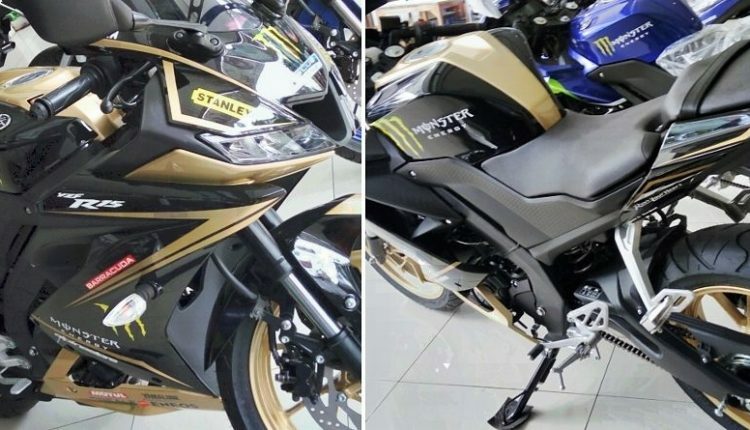 Yamaha R15 Version 3 was launched in India for INR 1.25 lakh at Auto Expo in February 2018. The current price after the recent price hike and ABS addition is INR 1.39 lakh. 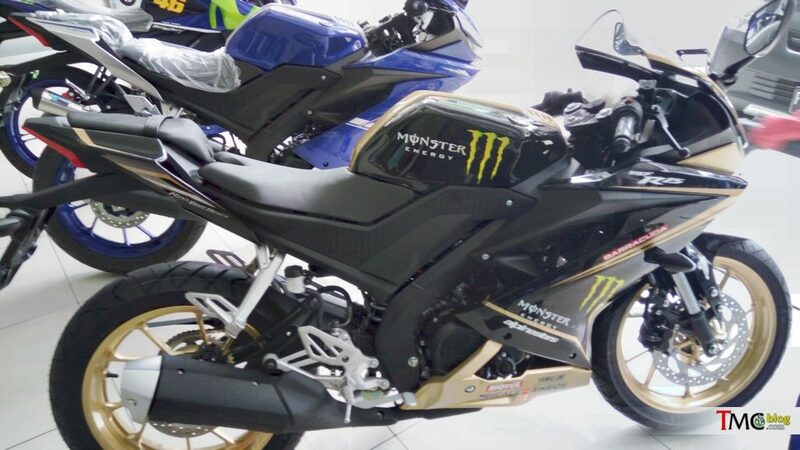 The price is ex-showroom and does not include any sort of added fee like registration or insurance. 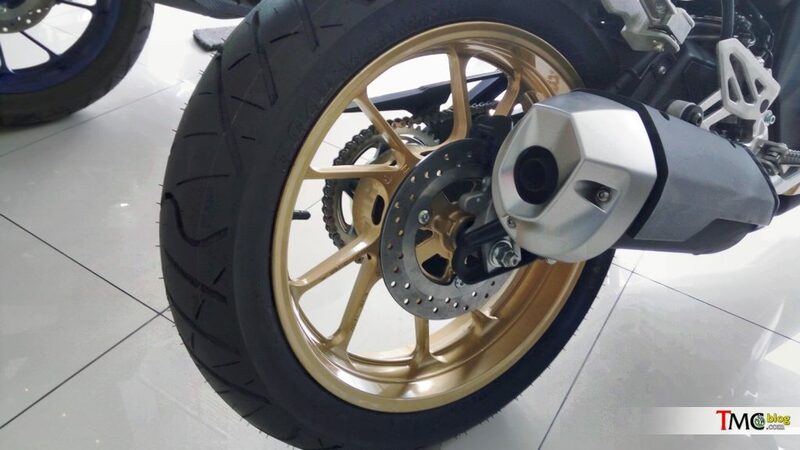 The India-spec R15 V3 carries the same design as the Indonesia-spec model but for the Indian market, the expensive tyres and USD forks have been replaced with MRF sourced Zappers and conventional telescopic forks. This was done in order to keep cost under check.